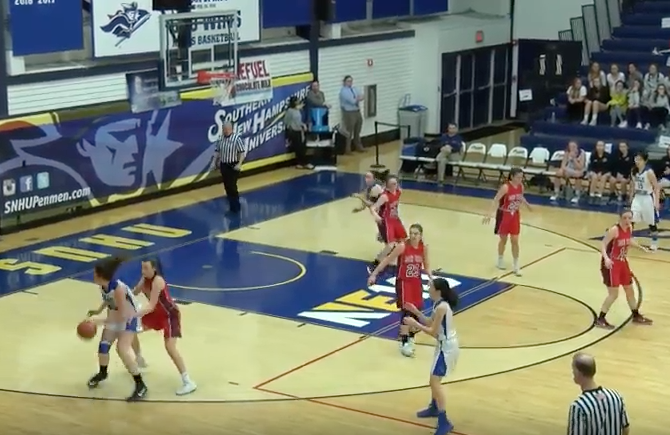 This New Hampshire division 2 girls basketball championship game featured two very different teams. The favorite and 3rd seeded Hollis Brookline Cavaliers had never won a girls basketball title. And they made it to the finals for the first time last season only to come up just short to Lebanon. While 13th ranked John Stark had knocked out the 8th, 5th and 4th seeds to make it to their first schools first finals appearance since 2003.